Fees may be paid in full or through a monthly payment plan using the School District’s on-line payment engine. 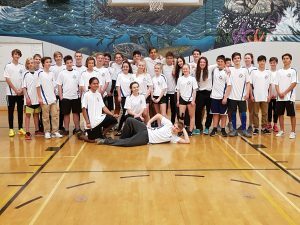 The EMCS Soccer Academy began in 2006-07, the first year the program was brought into the Sooke School District. Each year we have 25- 40 player/students registering; this helps with our low coach-player ratio for optimal training experience. Our training sessions occur on our new Sooke Soccer turf field, in our gym with Futsal (indoor soccer), weight training in the newly updated weight room and new equipment, and classroom for sport psychology where we cover many topics such as injury prevention, goal setting, hydration and nutrition and many other related topics. EMCS Soccer Academy works closely with the Victoria Highlanders F.C. coaching staff, additional qualified soccer instructors, qualified core fitness instructors, fitness/weight room instructors, yoga, and sport psychology instructors. The EMCS Soccer Academy is a dynamic program currently being offered at Edward Milne Community School. This program is an excellent opportunity for EMCS students to be involved in a challenging yet fun and safe environment. All levels of soccer players are accepted, new students who are interested in playing soccer but have little experience are encouraged to register. 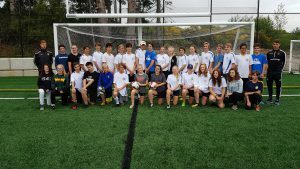 The Soccer Academy is coached and directed by Kelly Hunter, a Sooke District teacher who has been involved in the Victoria soccer community for the past 20 years. How will the Soccer Academy fit into my child’s schedule? The Soccer Academy at EMCS is a program that will be offered inside of the regular timetable and is 12 blocks a week (blocks C/D). Students will receive an average of 5 to 6 blocks of time on field sessions each week, 1-2 in the classroom, 1-2 on fitness and aerobic, and 2-3 with Futsal (indoor soccer). 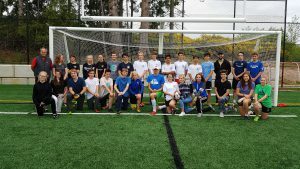 The EMCS Soccer Academy has the opportunity to train on the new Sooke Soccer artificial turf field just meters away from the main school. Is this program the right fit? The EMCS Soccer Academy is a program for students who possess enthusiasm for the sport of soccer. It is not a program reserved only for elite players within the sport, but welcomes players of all skill levels who are committed to developing team and individual skill sets. 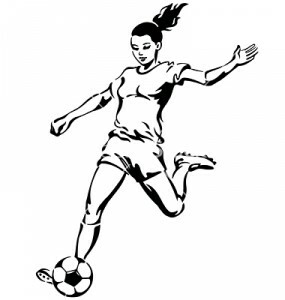 The expectation is that the athletes involved are committed, and will work hard to develop their individual soccer skills, and have an interest in being part of a winning team. The Soccer Academy at EMCS expects its athletes to promote FIFA Fair play rules. Students of the soccer academy will demonstrate a strong work ethic and desire to improve, by leading by example, to always respect the written and unwritten rules of the game. To learn how to constructively manage stress so that fair play skills and instincts will not be lost in the heat of competition. As an athlete you have an opportunity to get the best out of sport. The EMCS Soccer Academy will expect all students to demonstrate respect toward teammates, coaches, and officials on and off the field. Players of the EMCS Soccer Academy will be committed and have a strong work ethic; so they will excel at their individual soccer skills. What will the Semester look like? Players will be training at a consistently high level. Our desire is to operate an energetic program that will allow students to excel as both players and students in a fun and safe environment. The EMCS Soccer Academy will offer a comprehensive program both on and off the field. The on-field aspect will focus on skill development, offensive and defensive tactical plays, leadership, positive role modeling, and instilling injury prevention through proper warm ups and cool downs. The classroom component will allow students to gain greater knowledge of sport psychology. Classroom sessions will incorporate such things as anatomy and physiological, understanding concussions, hydration and nutrition for athletes, injury prevention, confidence building, goal setting, imagery and other topics to optimize an athlete’s performance. The student athletes involved will have the opportunity to be trained by some of the best coaches on the island as we are in partnership with the Victoria Highlanders F.C. The EMCS Soccer Academy also has qualified fitness instructors who come to our new updated and extensive weight room. As well, we take the athletes to Bear Mtn. Athletic Club once each month for further training, outdoor pool, and hot tub for relaxing the muscles afterwards. We also incorporate a yoga instructor so our athletes learn proper stretching techniques for soccer specific muscles. Our year end events include a Teachers vs Soccer Academy match, Witty’s Lagoon for beach soccer/skim boarding, and Indigenous Days. The Soccer Academy at EMCS will focus on the primary methods of assessment including objective, subjective, and self-assessment. Students will be assessed on a daily basis with regard to their Behaviour, Effort, Attitude, and Participation. Students will also be assessed on written work, and skill development. There will be 2 Fitness Tests given each term. Thank you for your interest in the EMCS Soccer Academy, We look forward to having your child registered in the EMCS Soccer program. If you have any further questions please email me.